His sister, Jody Allen, said: “My brother was a remarkable individual on every level. "Paul’s family and friends were blessed to experience his wit, warmth, his generosity and deep concern. For all the demands on his schedule, there was always time for family and friends." Microsoft CEO Satya Nadella said: “Paul Allen’s contributions to our company, our industry and to our community are indispensable. "I have learned so much from him – his inquisitiveness, curiosity and push for high standards are something that will continue to inspire me and all of us at Microsoft. 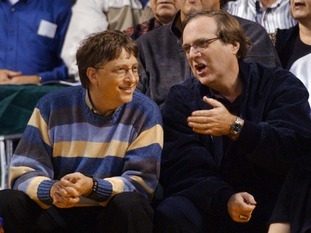 Both Mr Allen and Mr Gates later dedicated themselves to philanthropy. Over the course of several decades, Mr Allen gave more than $2 billion to a wide range of interests, including ocean health, homelessness and advancing scientific research.